Lose an average of 3 – 7lbs per week without exercise and missing your favourite foods! Get on a customized weight loss program you’ll finally enjoy being on. Our customized weight loss plan is designed to help you shed excess fat for a leaner, trimmer body that you’ll find easier to maintain over the long term. At a healthier weight, you’ll be able to enjoy living life more confidently! Your body will learn to burn off fat reserves. The consumption of simple and complex carbohydrates can make it more difficult to lose weight. Foods with a high protein value can boost weight loss. Nutrient-rich supplements will help preserve muscle mass. Dr. T. Tran, a graduate of the prestigious Faculty of Medicine, Paris, is the brainchild behind this unique weight loss program. Dr. Tran has devoted his extensive medical career on nutrition and obesity. 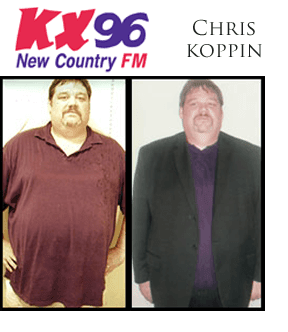 His weight loss method is a simple program that stabilizes your pancreas and blood sugar levels while at the same time improving the rate at which you burn fat and maintain lean tissues, including muscle mass. You’ll experience a rate of weight loss that is fast and healthy, achieving a leaner, fitter body. The program can also support cellulite reduction efforts. Millions of people across North America and Europe have benefited from being on the program, including high level athletes whose main purpose is to maintain fit, strong and healthy bodies. Almost all of us struggling with weight issues has been on a diet before, and yet we often failed at losing weight. You probably put it back on, and then some. While on a diet, you may have felt tired, dissatisfied with everything you ate, and stifled by so many restrictions on what you could and couldn’t eat. Our weight loss program is designed to be totally different. Your current diet is probably heavily based on saturated fats and sugars. This forces our body to produce too much insulin, which remains in our system and creates an imbalance of blood sugar levels – resulting in sugar cravings and weight gain. The typical North American diet is unnatural and unhealthy. 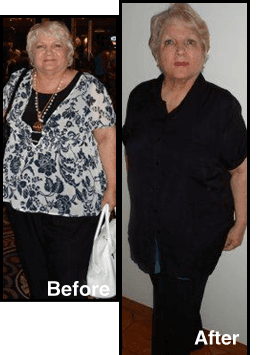 Our weight loss program allows your body to repair itself, eliminating fluctuating blood sugar levels so that you can lose the pounds and keep them off, as you’ll no longer have cravings for sugary and fatty foods. Contact us today to see if Ideal Protein is right for you! Begin your customized weight loss program now. You’ll book your consultation with a Medical Consultant to discuss your weight loss needs. The program is an easy one you can do at home. Simply eat and drink all of our approved gourmet products and follow your treatment plan to experience a gradual and fast weight loss at an ideal rate. Every product is rich in protein with all the nutrients you need, fulfilling your daily dietary and nutrition needs. Alison lost weight and experienced a significant improvement in her body shape with Ideal Protein! “My name is Barbara Muniz and I have been overweight for 10 years. I was feeling unattractive, depressed and suffered from low self esteem. I went on the Protein Program with Skin Vitality on Thursday May 17, 2012. Today is Thursday July 19 and my picture was just taken. I have lost 22lbs in 8 weeks and I haven’t been hungry one day. I have more energy than I have ever had and I feel happier, sexier, more energetic and healthier than I have felt since my 20s and I am in my 40s. “Talk about a new lease on life!! Thanks to this program, I now know that what I thought was impossible, is not only possible, it is in fact doable. Like magic, I have been watching the pounds and inches disappear revealing a healthier, more vibrant and slimmer me. It is sheer delight accepting the compliments of those around me who mention how different I look, how more attractive and how much smaller. 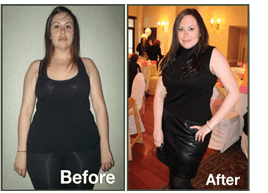 This is a journey upon which I embarked hopeful and somewhat guarded, but this protein weight loss program has proven to be the real deal. The scientific basis of its program and the purity of this program’s products are above reproach. The individual coaching is not only informative, it is inspiring. This protein weight loss program is a proven success and I am the living proof. These are the foods and beverages that you can enjoy while on your customized weight loss program. Find any of these items on our estore and get it shipped right to your door! 1. How is Ideal Protein different from other diets? This plan treats weight issues by changing your body’s ability to lose weight and keep it off. Once you reach your ideal weight, your body will be able to metabolize sugar better which will help you in the long run. The goal is to reduce carbs and fats, but not protein. Protein is essential for healthy muscle tissue and vital organs. You get to eat delicious food that’s packed with protein. In fact, a meal can pack up to 20 grams of pure protein! This is more than any other diet plan available today. The protein that is contained in Ideal Protein foods is also complete with eight essential amino acids. Each food and drink is made with no trans fats, aspartame, or Monosodium Glutamate (MSG). Ingredients also aren’t genetically modified (GMO). This female patient dropped several dress sizes as a result of our customized diet plan, with a dramatic improvement in her body shape. Yes, the plan that we help you stick to is customized according to your needs and health. You will have a medical assessment prior to starting your diet to ensure this. The only people that this diet is not suitable for people with dysfunctional liver or kidneys. Your body will be burning calories even when you don’t exercise. In addition, your body needs to adapt to the new diet, optimizing functions to accommodate to your new food intake. You’ll actually be eliminating calories through not just your daily activities, but also when you go to the washroom. If you exercise, you may be using up too many calories which will then lead to muscle loss something that we don’t want. That’s why exercise is not recommended while you’re on this diet. This makes it perfect for anyone who doesn’t have time to exercise or doesn’t enjoy it. 4. Can I eat more Ideal Protein food if I'm hungry? Yes, but only in your first week. You can eat up to five envelopes per day but you can’t eat more than one restricted food. 5. Am I going to feel hungry on this diet? Most people don’t feel hungry. Their cravings are generally satiated, except if you have eat a lot of processed foods. 6. Can I do this if I'm lactose intolerant? Yes. Only a few of the foods and most of the drinks contain whey isolates but only about 0.05% lactose. This normally doesn’t cause a negative reaction. However, any foods or drinks that contain whole milk protein, such as cappuccino, omelet, and puddings should be avoided.